My family would love to see Oswald the Lucky Rabbit as a regular wandering around the parks. How about stars from video games? In addition to Ralph and Vanellope, bring back Sora and Kingdom Hearts Goofy/Donald (they only seemed to come out the one year for Halloween party), Tron, and red shorts Mickey and Oswald from Epic Mickey. Orange Bird would be cool too. Oh Disney, so many fun possibilities with this year-long celebration! 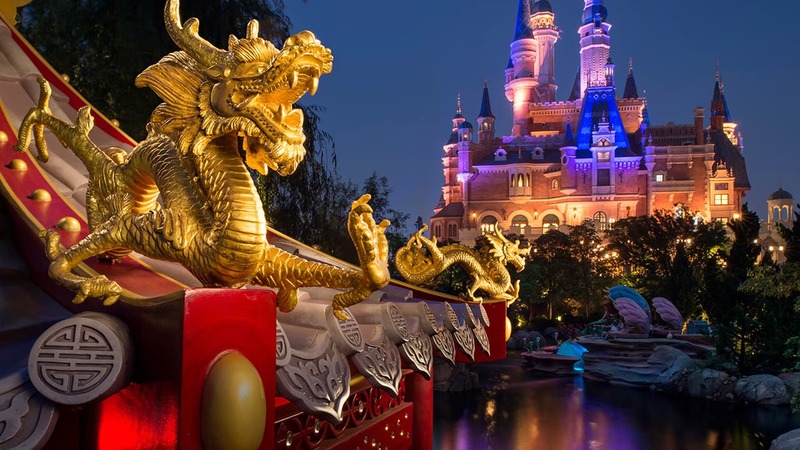 WDW got off to a “slow” start, but these long lost friends would be thrilling!! How about the cast of the Adventurers Club? They are so beloved; it would be an incredible experience! Personally I’d like to see Tarzan and Jane!!! Ever since Tarzan rocks left the Animal Kingdom, it’s like Tarzan disappeared. I think some other great ones would be Esmeralda, the Hercules Gang, & the Dreamfinder!!! I would love to see Oswald the Lucky Rabbit or Humphrey the Bear! 1) Tron. If I could go to Tomorrowland and meet Tron, I would be SO happy. 2) Assuming there are no contractual disputes with the characters, when the Guardians of the Galaxy movie comes out in 2014, meeting Rocket Raccoon and Groot would be awesome. PLEASE, PLEASE, PLEASE, PLEASE let Roger Rabbit come out! He’s my all time favorite character (tied with Mickey, of course) and I’ve never met him. PLEASE let this be my chance. I wouldn’t mind seeing Flynn Rider (LOVE him) and Dreamfinder with Figment but…Roger Rabbit needs to come out. Please let this happen? We would love to see Roger Rabbit!!! Would love to see these characters made into ornaments to be sold in the Disney Resorts and the Disney Store. For those in California, we met lots of minor characters at the Dance with Disney Event in California Adventure Park this Christmas. Me and my hole family are disney freaks. We visit all the parks at least once a year and we are always looking for these rare characters. This is an amazing opportunity, but is so sad that it´s gona be for just one week. We are going again in the beginning of 2014 and we hope that this limited time week happens again next january, so we´ll be able to see at least some of these special characters. Oh I am SOOO excited!!! 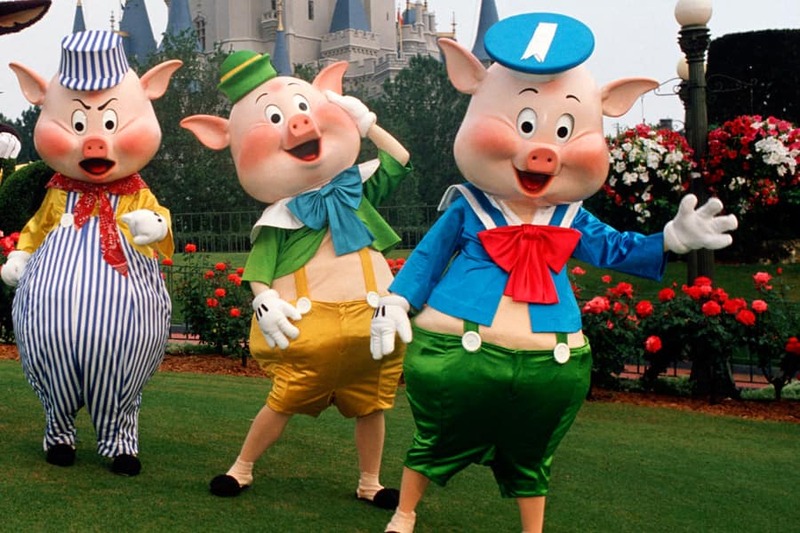 Seeing the Three Little Pigs walking down Main Street USA is one of my very first Disney Memories. I am a collector of autographs, and now that I visit with my own family this will be very special. I would love to see the Disney Afternoon crew – if I were going to be down there. ;_; Want to meet Prince John so much, but of course, can’t just up and go to Orlando next week! I second the above comment for some more Goliath from Gargoyles action, especially with the 20th anniversary of the show drawing closer. Also, as far as rare characters go, I think the Princes need more regular appearances, especially Prince Phillip and Flynn Rider. Dude! Bring them back the week of April 13th! I would love you all forever! Colonel Hathi from “The Jungle Book”, ALL the retired characters from “Fantasia”, “Alice in Wonderland”, “Aristocats”, “Robin Hood”, “Pete’s Dragon” & “The Rescuers”!! My daughter was just asking about Jane and Michael???? By the way, of Darkwing Duck comes out I would easily stand in line for 24 hours to meet him!!!! Oh goodness, I am SOOOO happy!!!! Thank you guys SO much!!! Hercules gang or Hunchback gang would be great. Ones announced seem like great choices. Cann’t wait until Monday!!! Dreamfinder, yes. The only character I met with when I went to WDW in 2007 was Figment. The Robin Hood characters are always welcome. Merlin out and a bout more would be fun! Uncle Scrooge & Figment! I was lucky enough to capture both (Uncle Scrooge during a Mickey Halloween Party, and Figment at Epcot a few years ago), but would love to see them on a more regular basis. I would LOVE to meet Dumbo, orange bird, all the villains, brier rose, Pinocchio, brier rabbit, and most definitely Tweedledee and Tweedledum! That’ll be so amazing, I cant wait to go next week! we won’t be there until February :'( Robin Hood is my husband’s favorite, so he’s super disappointed. If Figment was going to be there I would have cried. When there’s trouble, you call D-W! How about Launchpad McQuack, Uncle Scrooge and Huey, Dewey and Louie? Roger Rabbit would be amazing! How about Genie? Has Emperor Zurg ever made an appearance? OH–you know who I would REALLY want to see back at the parks? LUCKY. I think I would have to hop a plane if I knew I could see Lucky the Dinosaur. I never got to meet him. This is really wonderful! I have photos of my kids with the characters from “Robin Hood” from way back when my kids were little. It’s a shame that so many of the classic characters get put into “moth balls” so to speak. It would really be great if there was a way to put them all into a constant regular rotation. That way there would always be a chance to see some old favorites no matter when you visit the parks. Once a Disney character, always a Disney character, right? Dreamfinder and Figment are at the top of my list, right alongside the characters from the Adventurers Club! I still have my early 00’s photos with Milo & Kida, and Jim Hawkins and BEN – Did they ever come back, to promote the movies on disk? As for rare characters, what about Goliath the Gargoyle (from Disney Afternoon, not Hunchback), who only appeared at the night Halloween parties – obviously – or Sora from the Kingdom Hearts game? 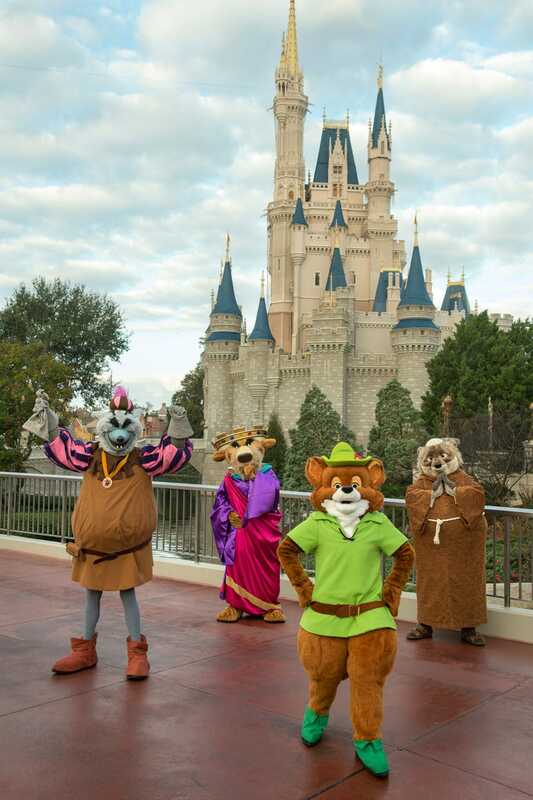 When did Robin Hood stop being in the parks? He was there back in 2003. Would love to see Darkwing Duck also! Robin Hood and the gang will always have a special place in my heart. My first trip to Disneyland they were going through the restaurant and were very friendly, giving hugs and playful noogies to all the kids. A great way to kick off my Disney experience. If there is no Darkwing Duck out at some point next week, I will write a letter to Disney expressing how much of a minor annoyance this is! But seriously, I don’t care who meets because I will want pictures with every single one of them.